Do you need definitive Manned Electric Aircraft market data? Succinct Manned Electric Aircraft market analysis? 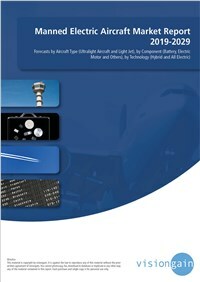 The latest demand in manned electric aircraft has led to publish this unique report, which is crucial to your companies improved success. I thought it would be of interest to you. If you want to be part of this growing industry, then read on to discover how you can maximise your investment potential. What does the future hold for the Manned Electric Aircraft industry? Where should you target your business strategy? Which applications should you focus upon? Which disruptive technologies should you invest in? Which companies should you form strategic alliances with? Which company is likely to success and why? What business models should you adopt? What industry trends should you be aware of?